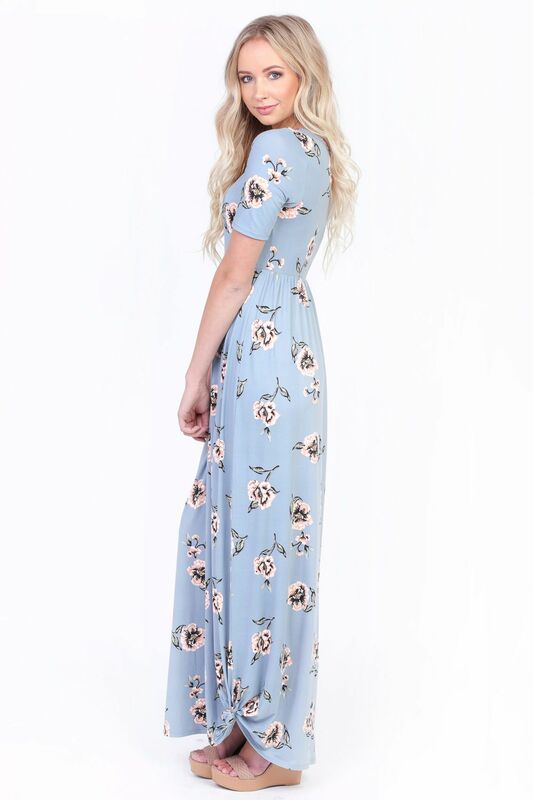 The Miranda Maxi is everything you could possibly hope for in a dress! The material is buttery soft, the fit is easy & comfortable, but still very flattering. The floral print includes shades of peach, pink, cream & green against the light blue background. 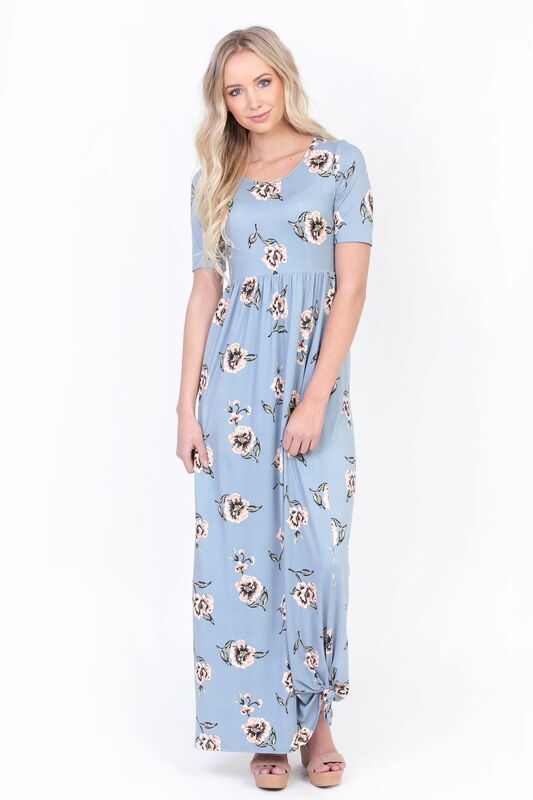 This dress is casual comfort that's effortlessly feminine! Features include a simple slip-on style, round neckline, & half-sleeves. 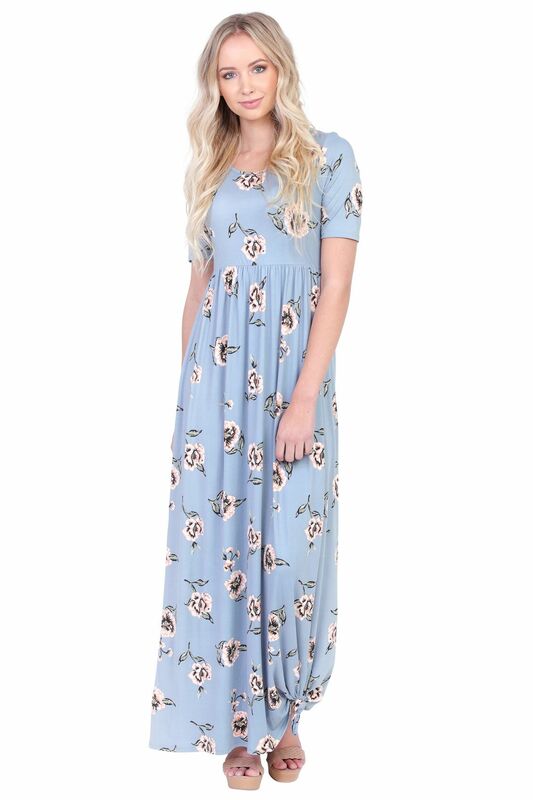 You'll look and feel amazing every time you wear the Miranda Maxi Dress! Dress is also available in Mauve Pink w/Floral Print, Navy w/Floral Print, Burgundy w/Blush Floral Print, Chambray w/Coral Floral Print, Black w/Blush Poppy Print and Blush w/Rose Print.